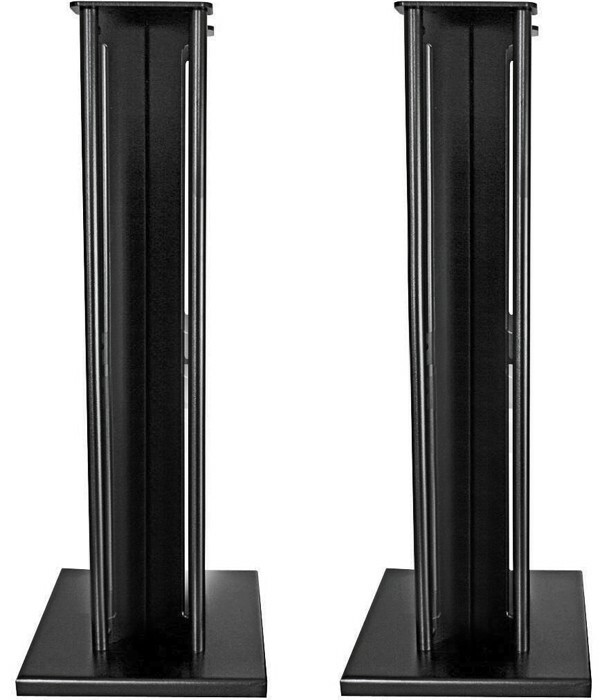 Partington Ansa 60 speaker stands (so named because of their 60cm height) are designed for smaller bookshelf speakers and have previously won What Hi-Fi's prestigious "Best Speaker Stands" award. They can be used for bookshelf speakers in a music system or as stands for the speakers in a 5.1 or 7.1 home cinema speaker set-up. The Ansa's are slimlime stands, built using laser profiling throughout for accuracy and precision. They feature a specially formed centre column, welded to a strong base and top plate for excellent rigidity. 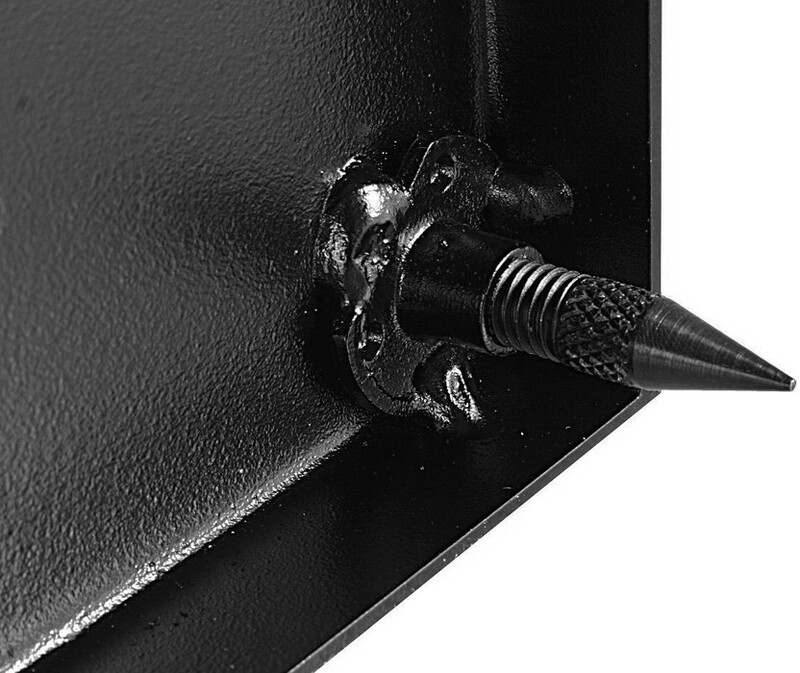 Adjustable floor spikes are included. What size speakers will these fit? The top plate is 120mm wide x 180mm deep, making them the perfect choice for smaller bookshelf speakers. 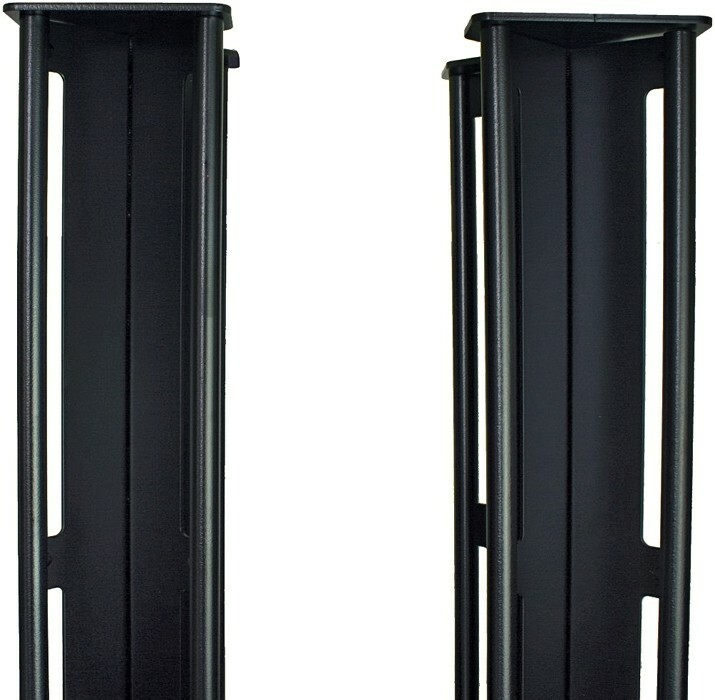 For example, we've used these stands very effectively with bookshelf models from Bowers and Wilkins, Q Acoustics (for example 2010, 3010, Concept 20, etc), Tannoy (for example Mercury bookshelf or XT Mini), Wharfedale Diamond 10.1, smaller Missions, Wharfedale 210 or 220, etc. 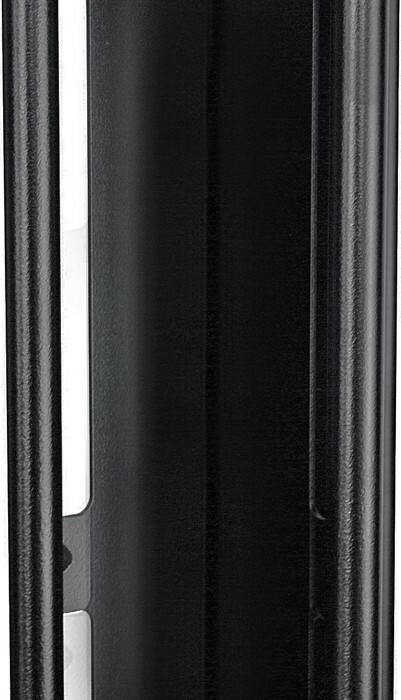 These are only examples - the Ansa 60 are effective stands for most smaller bookshelf speakers. Do you have larger bookshelf speakers? 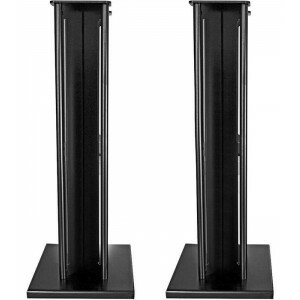 These are Partington's smallest speaker stands. The Partington range also includes Partington Super Dreadnought (which are suitable for most "mid sized" bookshelf speakers) and Partington Broadside (for larger bookshelf speakers). If you're not sure which to choose, call or e-mail for advice. The Partington Ansa are also on permanent demonstration in our west midlands showroom. If you'd like to see and hear a pair in person, feel free to visit. However, if you order online now, you are covered by our 30 day money back guarantee, so if you change your mind within our terms and conditions, you can return them to us.